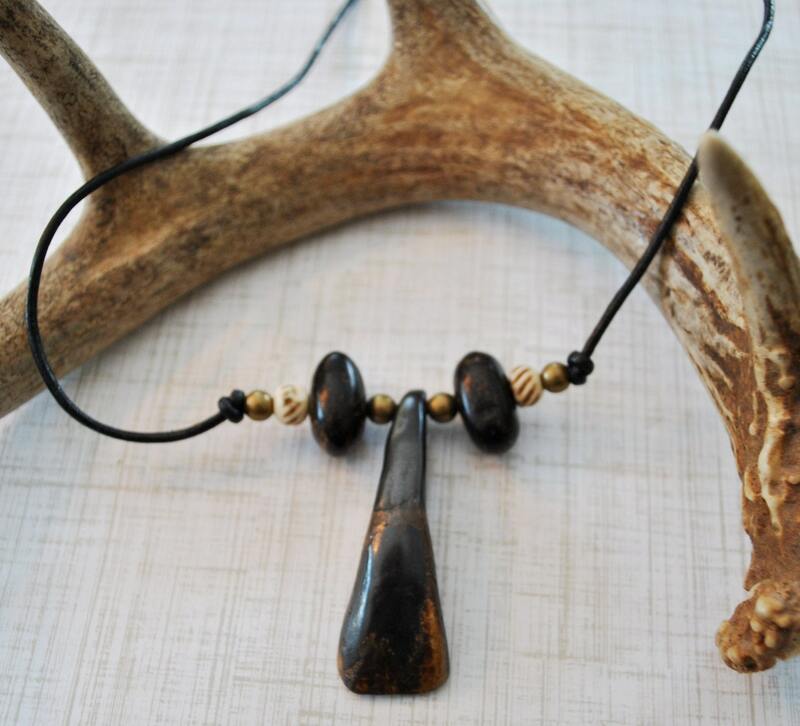 Men's Tibetan Yak tooth necklace. 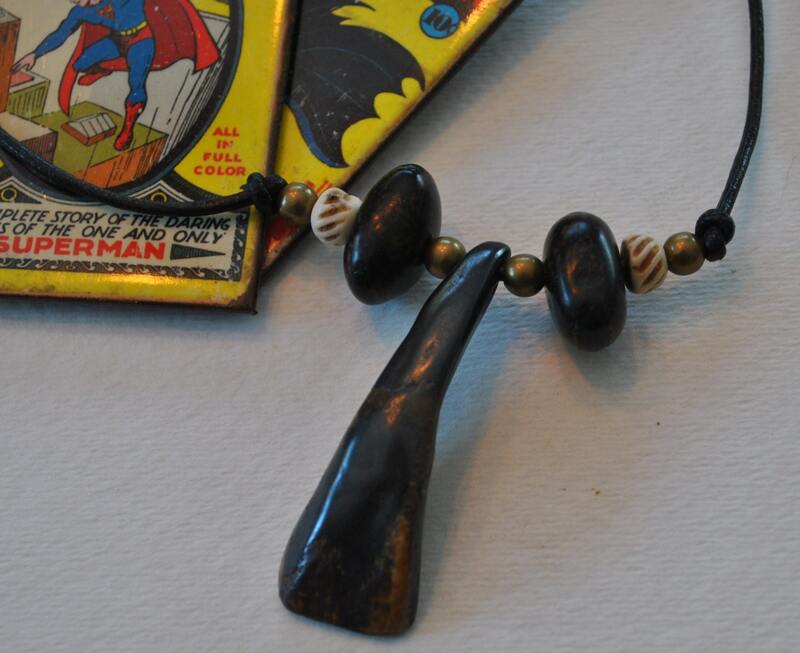 This unusual necklace features a genuine Yak tooth from Tibet, white bone beads, brass beads and True Sea-bean beads. 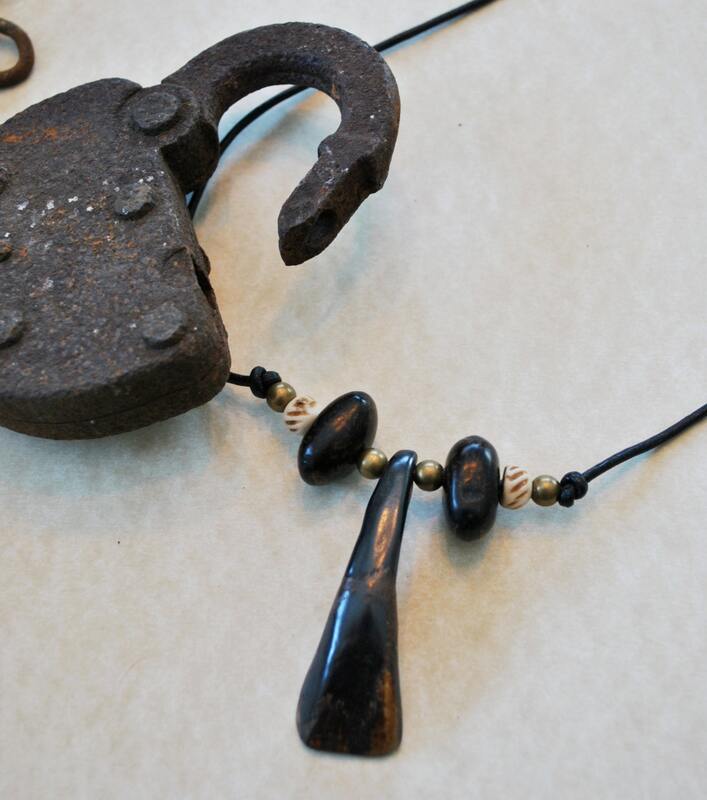 A black leather cord necklace with brass lobster clasp goes through the necklace. 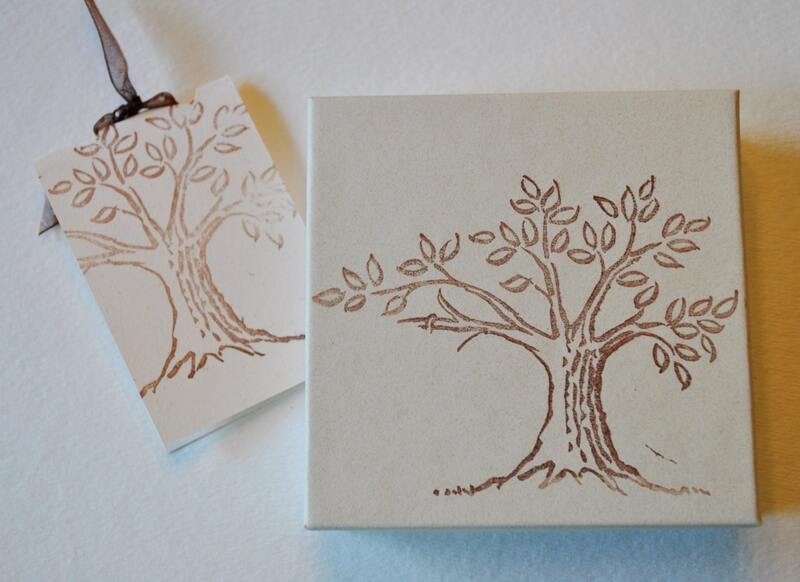 Make this your special amulet! 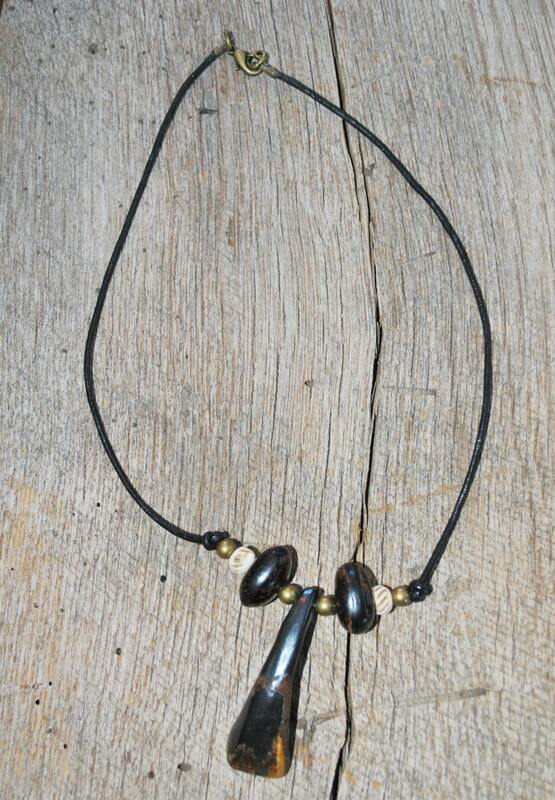 True Sea-beans or Deer's eye as they are called in Mexico are considered both an aphrodisiac and very protective in Mexico and Central America against the evil eye.